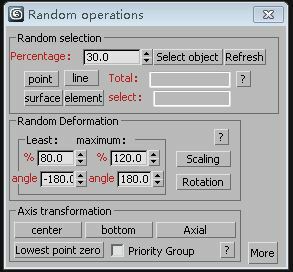 1.Random operations，Providing a random selection, random size, random rotation, in three ways. 2.In 3dmax production, I used more scripts. 3.Front axis changes, a collapse of an object, very practical.